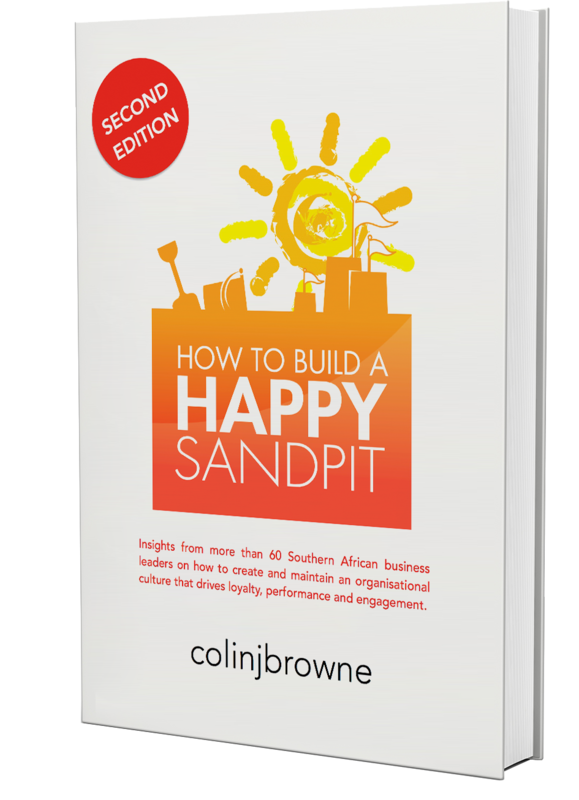 How to build a Happy Sandpit takes a unique look at Southern African companies that enjoy exceptional levels of employee engagement and the organisational culture traits they use to achieve that. Rich with stories from some of the region’s leading executives, gathered by author Colin J. Browne over the course of two years, there are lessons here for businesses of all sizes, and in all parts of the world. Southern African businesses operate on the margin between first world and third world economies, making innovation critical to their success. With rapidly changing workforce demographics, innovating ways to achieve employee engagement is the first priority for the best of the best in the region. The analogy of the Happy Sandpit is used to explain how top companies in the region build teams that work together well, in the pursuit of a common goal.